From mid April to July 2015, I cycled from Fukuoka to Tokyo. 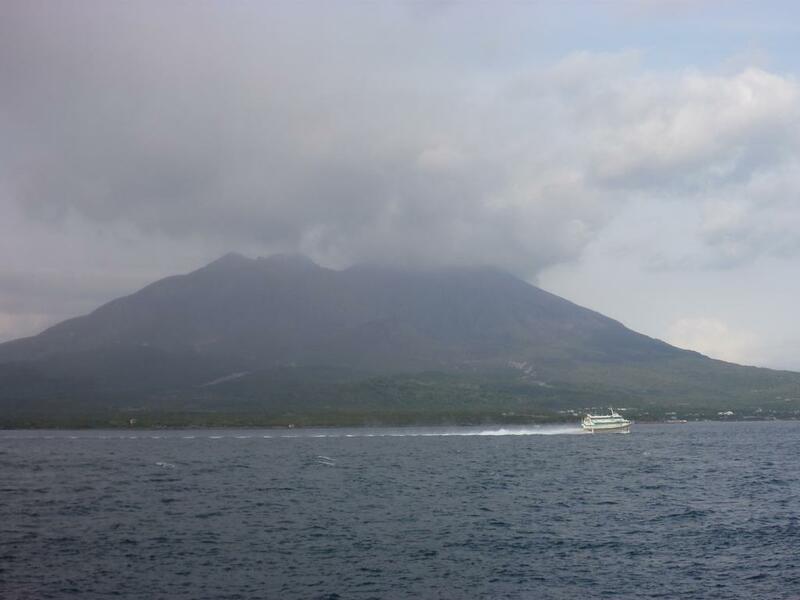 The route started with a round trip in Kyushu and later went all the way up to Lake Towada. Before arriving in Japan, I hadn't made any specific plans on what to do. Since my visa for South Korea was about to expire, crossing over by ferry from Busan/South Korea to Fukuoka/Japan was simply a convenient getaway. 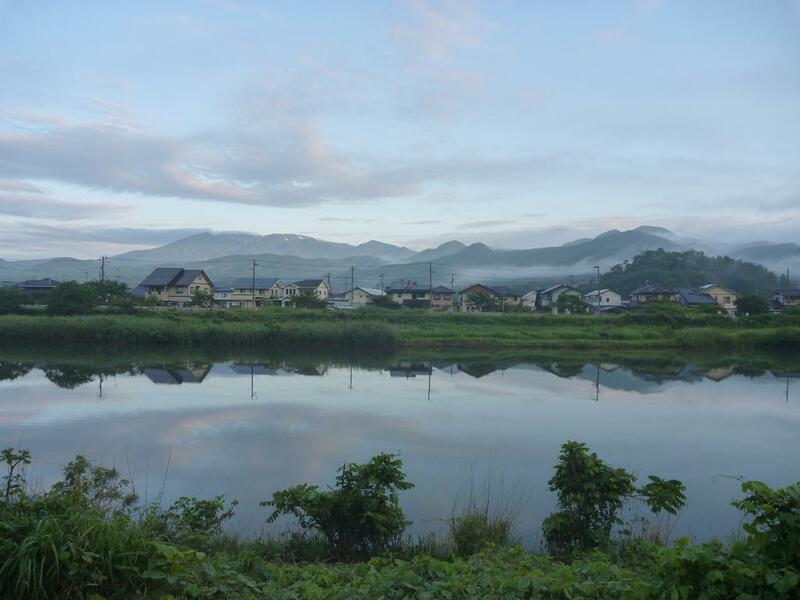 During the first days, I even considered renting a room in a quiet suburb of Fukuoka and continue my work on the music software. But the online advertisement for an apartment that I had seen previously turned out to be outdated and I did not come across any alternative. 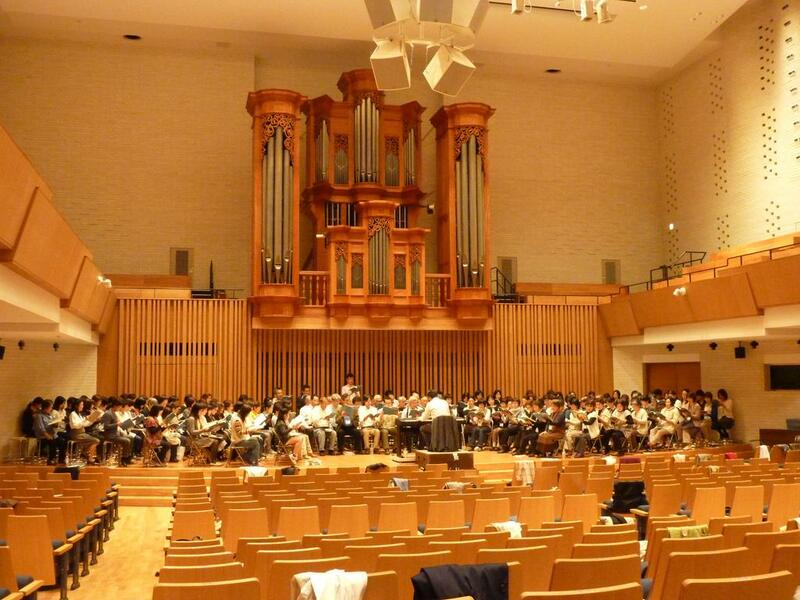 While wandering around in the city, I stumbled across a concert hall and the staff permitted me to attend a choir practice. They were performing Wie der Hirsch schreit, Psalm 42 by Felix Mendelssohn with excellent pronunciation. One of the facility managers invited me for dinner on the next day. The staff at the public library of Fukuoka, on the other hand, was not so welcoming: once they had established that I was not using any library material - but instead just writing software on my laptop - they kicked me out. They did not speak English but showed me a written English translation of their rules. How I came to realize that bicycling would be the suitable mode of traveling for me: while in South Korea, the production of Schemellis Gesangbuch exposed me to countless hours of organ music. 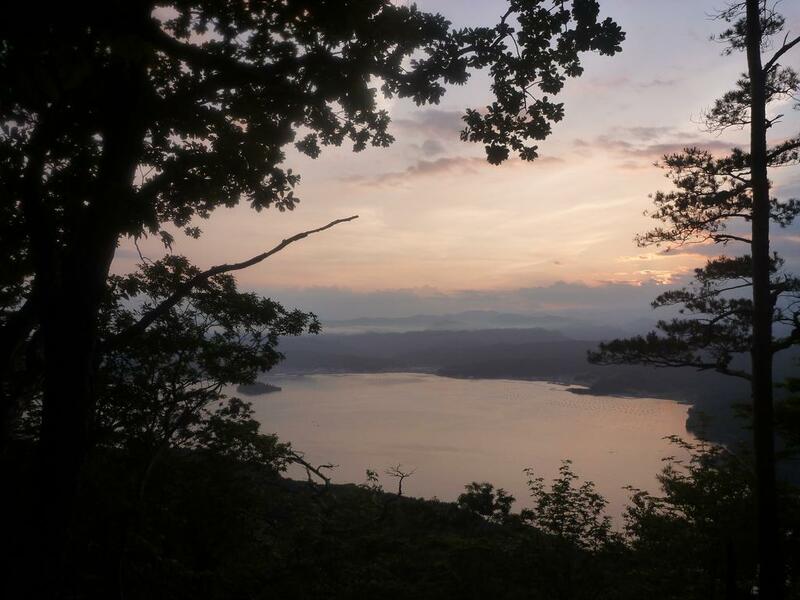 And that triggered memories of the novel Schlafes Bruder by Robert Schneider, and instilled a longing for the exposure to nature and the feeling of remoteness. So on day 4 in Fukuoka, I browsed the offers of several bicycle shops and after careful consideration settled on a trekking bike for 50k Yen. Eager to try the bike, I left Fukuoka right away. I had no specific destination in mind, so I simply headed South. After crossing the mountain ridge I reached Saga around midnight and continued even beyond that. At some point I reached Kumamoto city, which has a lovely city center and is bustling with activity. I regret not having stayed longer than just one night. 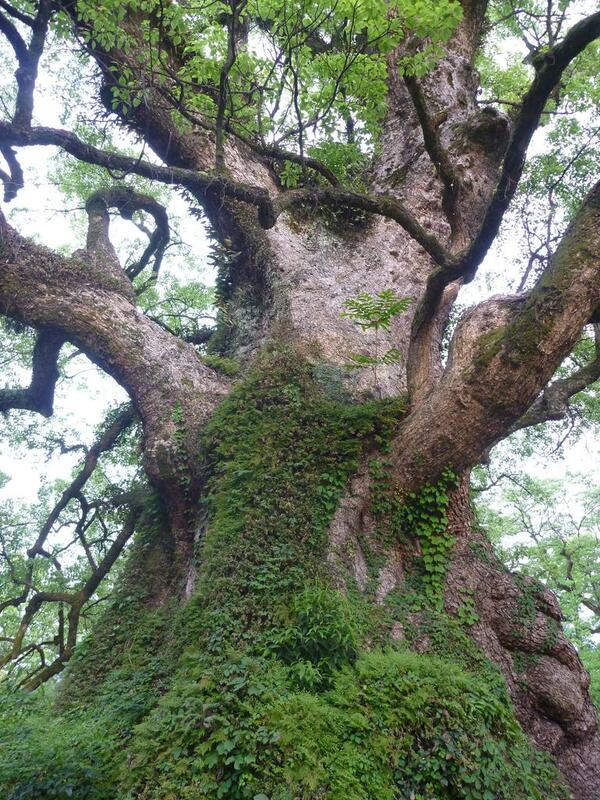 A few kilometers outside the city, the tree with the largest stem circumference in Japan can be found. In Kagoshima, I overlooked a metal chain at night: the bike came to an abrupt halt, and catapulted me on the pavement. The ash from the nearby Mt. Ontake volcano in the air and on the asphalt stuck to the wound and probably helped to stop the bleeding. Based on that event I decided to find a reasonable traveling rhythm and to avoid riding during nighttime. The coastal road 10 from Kagoshima turned out to be the most dangerous road that I encountered during the entire trip: the lanes are narrow, there are several tunnels, busy traffic with lots of trucks, and on top of that it happened to rain. Via Miyakonojo city, I reached Miyazaki. Then, I proceeded along the coast to Nokeoka. From there, road 326 leads to Oita. Although the road had traffic, it was a relaxed ride and I covered 130 km on that day. 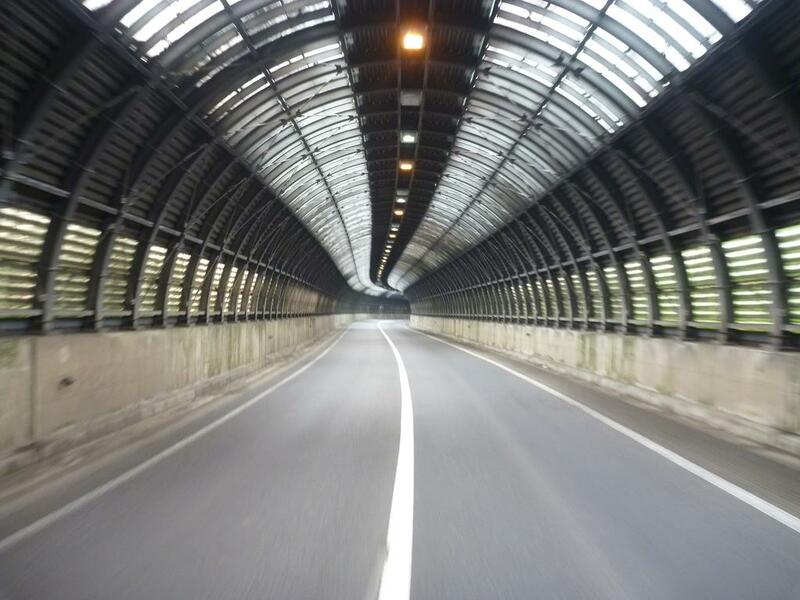 Moji is the gateway to Chugoku on the mainland: Trains cross the strait via a bridge, while traffic is routed through big tunnels. At first, I attempted to follow the cars into the tunnel but a guard stopped me and indicated that I should use the tunnel designated for pedestrians instead. That tunnel even had elevators at each end to make the crossing more comfortable. Having arrived on the mainland, there is basically no other option than to drive along highway 2. I met a Japanese who was also doing a bicycle tour across his country. His blog is here. We exchanged experiences and photos over dinner. In Kyushu, I had failed to pay Nagasaki a visit. Now, Hiroshima was coming up. 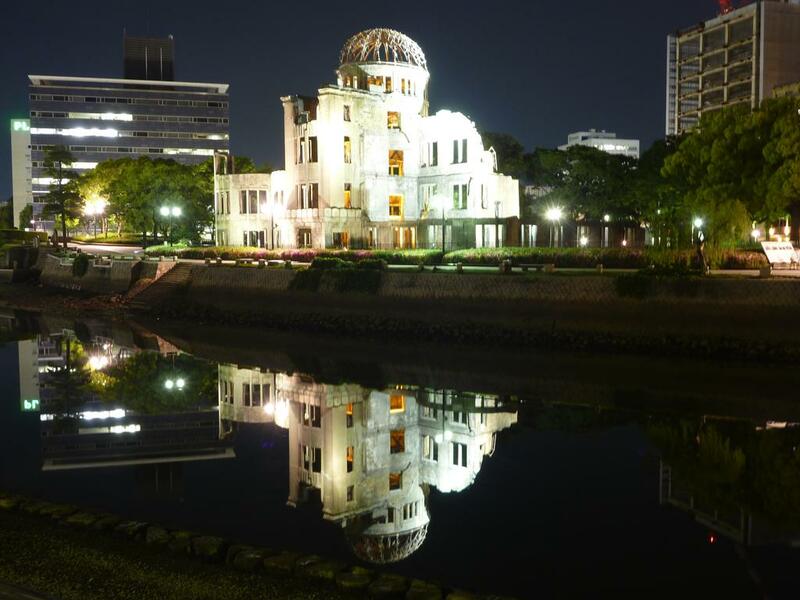 A large area in the city center of Hiroshima is designated as a reminder of the atomic blast and advocate for peace. May peace prevail on Earth. 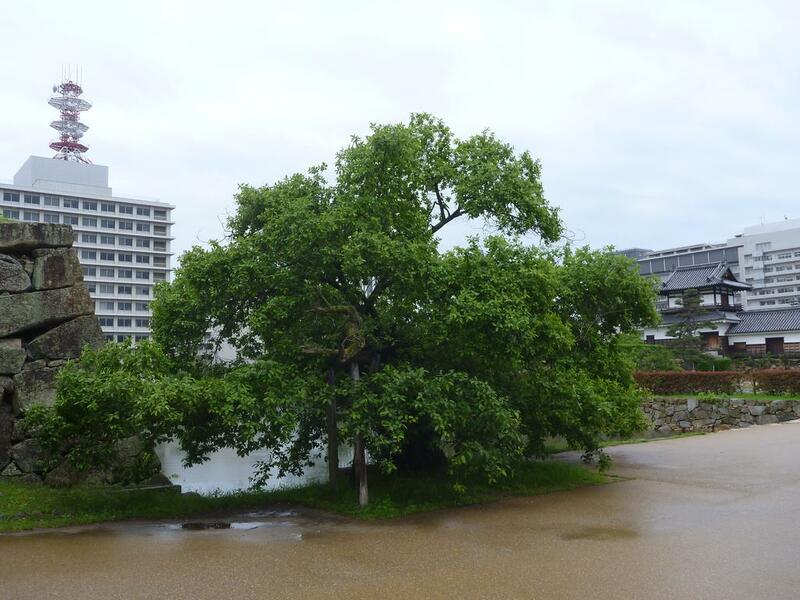 Two trees had survived the blast and its aftermath and can be found growing in the castle gardens even until today. Okonomiyaki is a special dish of Hiroshima: "a thin layer of batter and a generous amount of cabbage on top of yakisoba noodles". It is prepared directly in front of the customers. 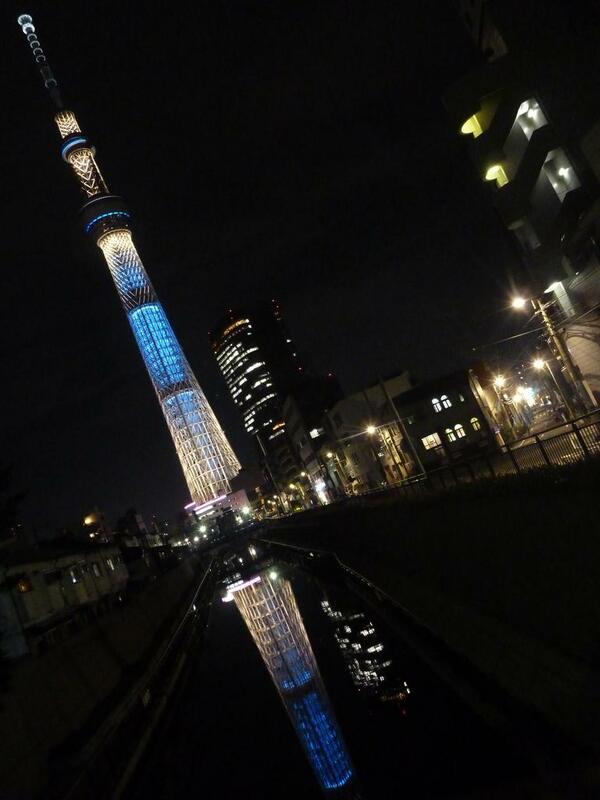 On the Internet, I read that the city Kobe fell victim to an earthquake in 1995. 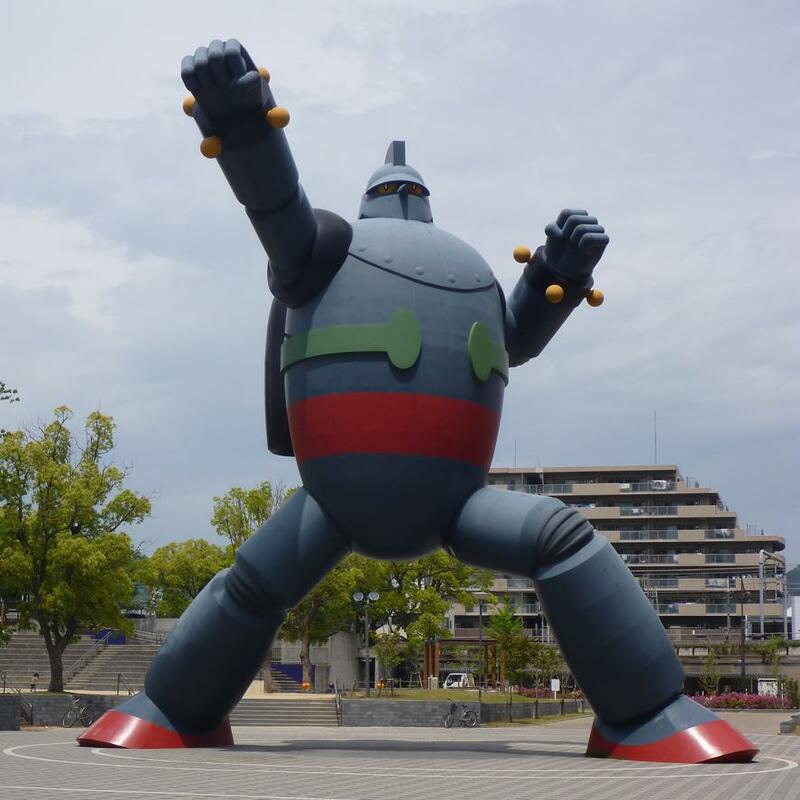 The statue of Tetsujin-28-go, a manga robot figure, was one of the first monuments to be erected subsequently. According to the narrative, the site helped to revive the spirits of the citizens. Naturally, I went to see the impressive robot. While the suburbs of Kobe are located in between hills, Osaka is all flat and easy to navigate. I really felt comfortable and stayed 2-3 days. 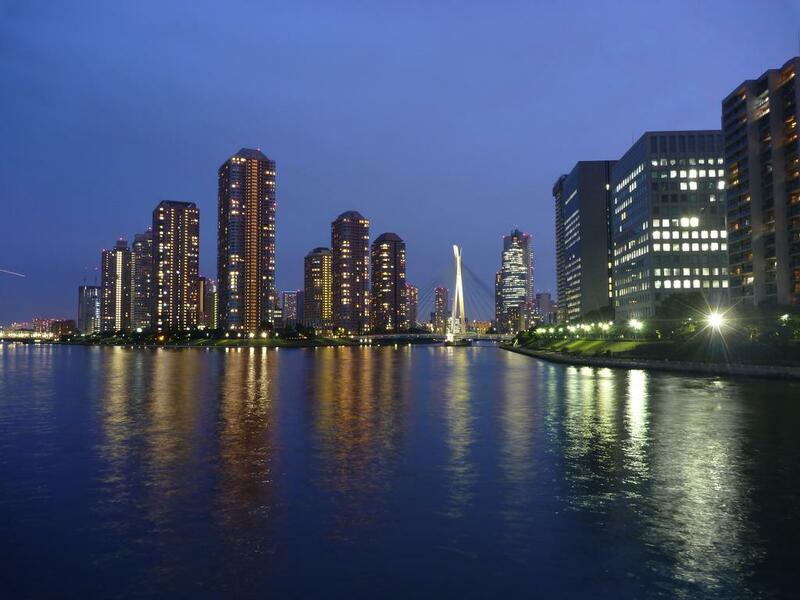 The Yodo river connects Osaka and Kyoto and the riverside is reserved for recreational activities, physical exercise in particular. One can conveniently cycle on either side of the river. I traveled on a Sunday and watched locals enjoying barbecue, playing baseball as well as soccer. Kyoto is very touristic. The popularity stems from the presence of famous temples and shrines sites... Lots of police is there to monitor the activities. After several days in Kyoto, I spilled coffee on my laptop. A few hours later, the windows on the screen behaved erratically. After a reset, the laptop never booted again. Over the course of the next 24 hours, I was devastated. But then I realized that this was a blessing in disguise and proceeded pragmatically: I removed the hard disk and memory, and dumped the rest. The computer store Joshin Denki recycled the remaining hardware. With the laptop gone, my bag was 2 kg lighter. From now on, the computer would not take time away from my cycling. 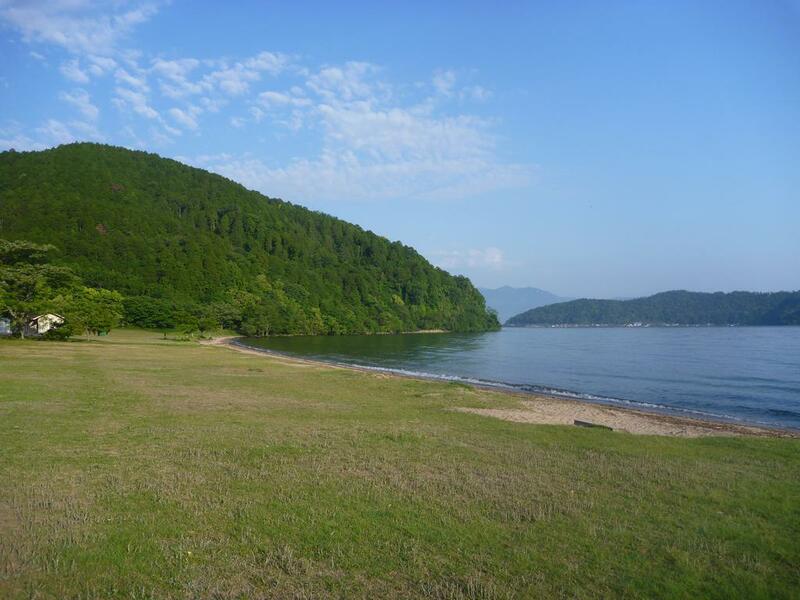 From Kyoto, I challenged myself with a route through the mountains in order to reach Otsu along the shore of Lake Biwa. The lake is beautiful and peaceful, and provides countless opportunities to dip into the water to cool off. Cycling around the large lake turned out to be one of the highlights of my journey. One morning after having enjoyed a bath at an otherwise abandoned beach, I found myself in front of a gate of a lovely shrine hidden in the woods. The time was about 8 am, and since I found it unusual that the door was locked, I climbed the wall to make sure everything was in order inside. Just as I climbed back, staff came out of the buildings 8 meter from me but my presence still went unnoticed. Ninja. 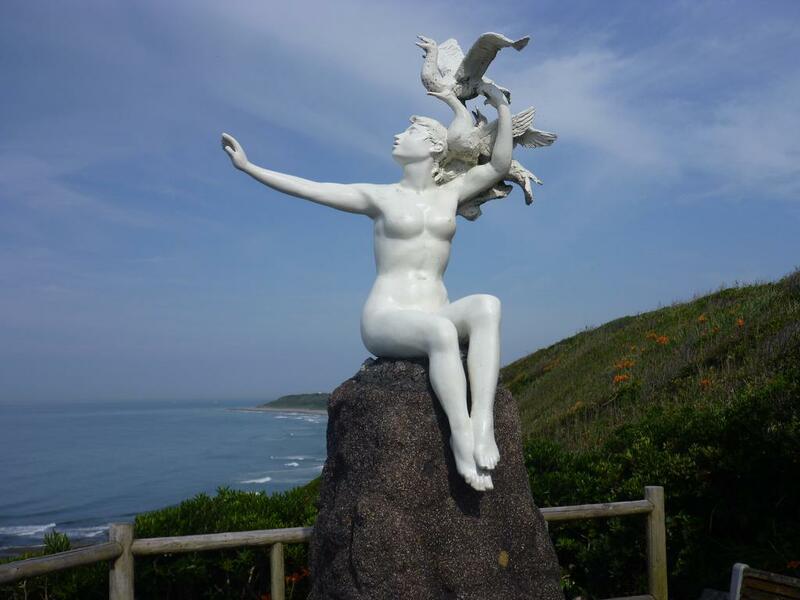 Upon returning to Otsu, I proceeded via the mountains in the direction of the South coast. The road 50 is nice for bicyclists: for a long stretch, the road consists of just a single lane. Throughout this region, the farmers have installed fences to prevent deer from feeding on the crops, and/or interfering with traffic. I arrived in the coastal city of Tsu around noon, and by the time it was so hot that most people had taken refuge somewhere inside, for instance in shopping malls. My impression was that the record temperatures were due to the absence of trees in the streets. In the afternoon I went to the city beach, which was great. My most vivid memory about Nagoya is a restaurant that specializes on donuts made mostly from the bamboo plant. The donuts are really delicious and don't taste greasy at all. Locals recommended to me that I visit Inuyama. I followed their advice and enjoyed the city's historic castle, temples and shrines. In order to avoid passing through Nagoya again, I chose a mountain route. 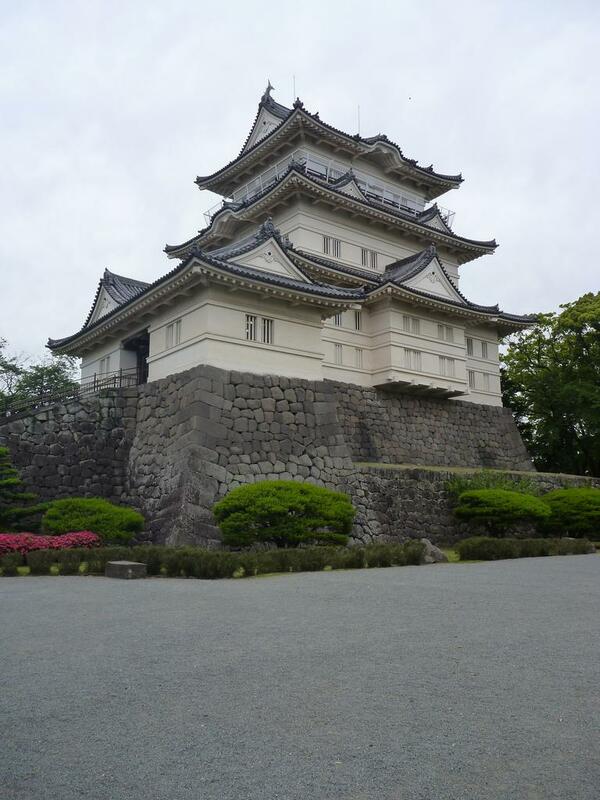 Via Toyota city, I finally reached Okazaki, which boasts an impressive castle as well, and stayed there overnight. Hamamatsu harbors a large museum of musical instruments. Prior to entering the collection, I had lunch in a restaurant and simultaneously charged the battery of my camera in order to be able to take plenty of photos of the exhibits. While proceeding along the coast, I noticed a sign: Pacific ocean bicycle road. Naturally, I chose to drive along that path. I noticed a myriad of fishing boats traveling parallel to the coast and leaving a yellow layer of exhaust in the atmosphere. Also, there is the Hamaoka nuclear power plant right along the coast and I saw many workers in uniform going to begin their shift. However, according to my Japanese friend, none of the nuclear plants in Japan have been used to generate power since the Fukushima accident. 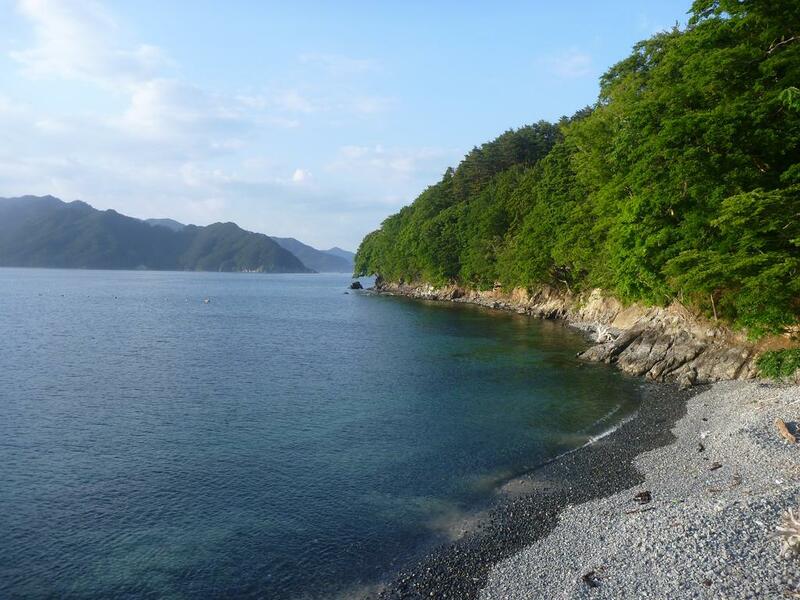 I found the beaches of Suruga Bay near Makinohara and Yaizu particulary beautiful. In Shizuoka, bicycle parking is only allowed along designated sidewalks. In the castle garden I had a nap on a bench but a police officer woke me up, because he wanted to write down my passport details and profession. 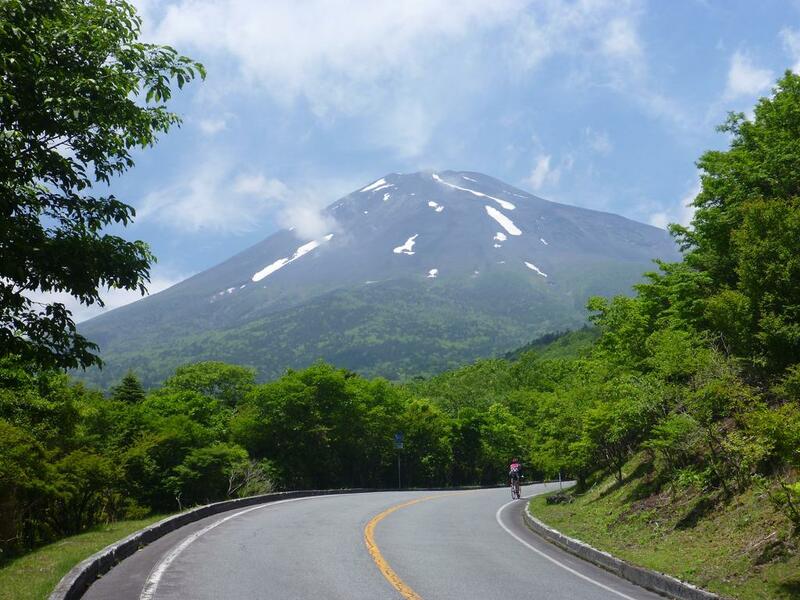 For the next night, I initially planned to stay in Fuji city but later realized that it would be better to approach "the mountain" a bit further. So on the next morning, I started from Fujinomiya and headed uphill. Halfway, I ran out of water but could replenish with rainwater from a tank at a rest area. That water happened to have a particularly clear taste. My snacks on the way were honey waffles that I had been able to stockpile two days earlier. The furthest one can go with a bike is to the parking lot of "Fujinomiya 5th Station (Fujinomiya Trail)" at 2400 m altitude of Mt. Fuji. At the parking lot, I learned that the accommodation for visitors who wish to climb to the summit is only available during July 10 to September 10, 2015. At the time, they were closed. However, visitors are still permitted to climb at their own risk: while having a rest I witnessed about 20 climbers returning from the summit at 3776 m. Anyways, it was already 2:30 pm and I did not possess the proper equipment. Racing downhill is the awesome reward for all the suffering prior. Gotemba is located south-east of Mt. Fuji. I reached the city in late afternoon and it hosts a large joint US-Japanese military facility. In order to get back to the coast, I chose the route past Lake Hakone. Because the lake allows for a nice view of Mt. 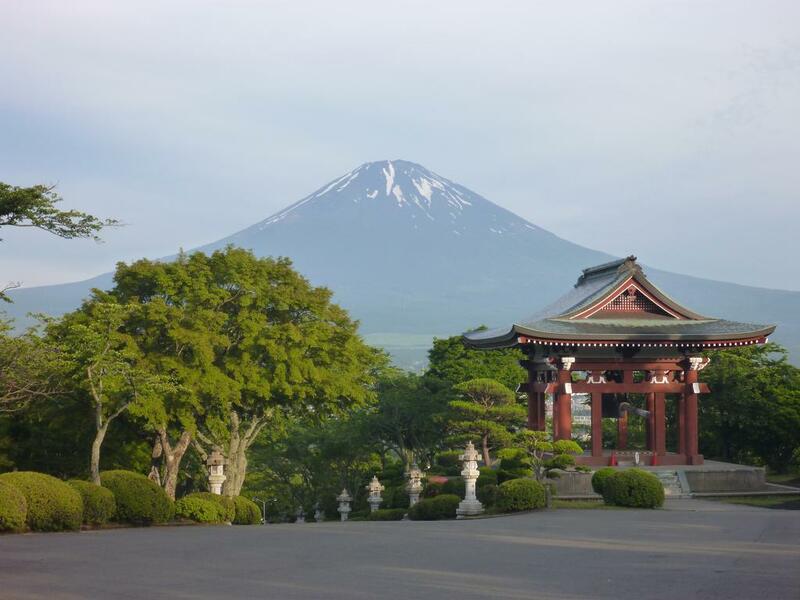 Fuji, the location is a favorite among tourists. The ride from the lake to Odawara along road 732 turned out to be a lot of fun: the road descends at a constant rate from 700 meters altitude to sea level. 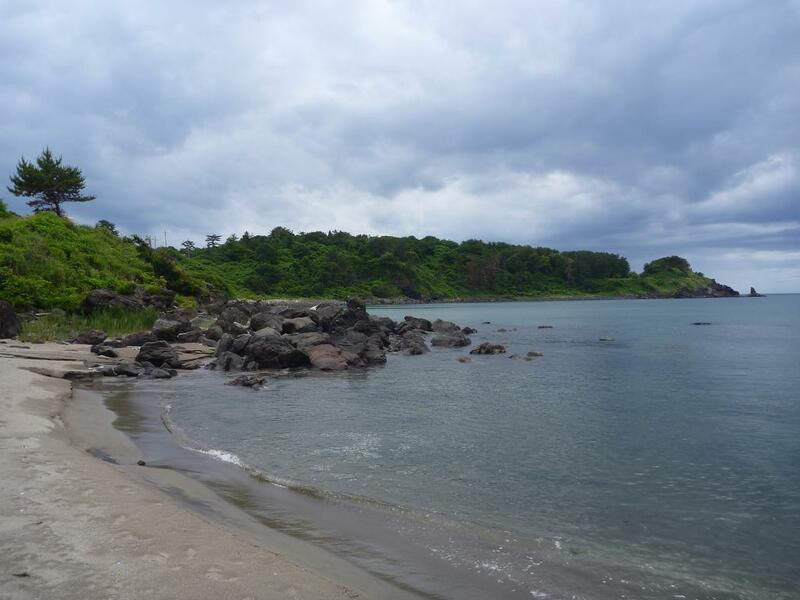 A few days remained before the scheduled reunion with friends in Tokyo, so I took a detour via Miura peninsula. The coast along road 134 is popular for surfing and vacation. During these days, Japan celebrated carnival and it was a pleasure to witness the traditional ritual. In order to avoid as much traffic as possible I cycled into Tokyo between 1-2 am in the morning. Halting at the gates of the Emperor's palace, I spent the remaining hours until dawn reading the book on Bach music my sister had passed on to me several months earlier. From 5 am on, the courts adjacent to the water trench that surrounds the Emperor's palace and gardens become really lively: citizens come to do physical exercise before temperatures get too hot. There is an excellent tourist information center inside the JR main station. The staff gave me recommendations on what to visit: I went to the three major art museums, and then used the bike to explore attractions in more distant suburbs. The exhibit "Keep Changing, Connect with Everything, Continue Forever" by Tatsuo Miyajima at the Museum of Contemporary Art inspired me to approximate the impression in an animation. On day 4, my friends had arrived and we explored the city together. 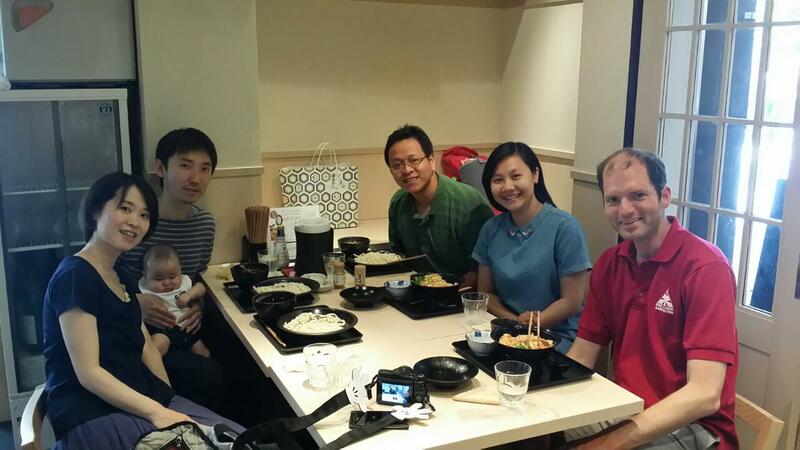 Two days later, we met our mutual friend and former fellow student who is Japanese and lives with his wife and son in an apartment in Fuchu. It's a marvellous coincidence that we all temporarily could converge at this point in space and time. Before coming to Japan, my exposure to Japanese culture consisted mainly of having watched Nausicaä of the Valley of the Wind, Princess Mononoke, and Spirited Away by Hayao Miyazaki. My friend in Fuchu pointed out that the production company Ghibli resides in the area and has a museum. However, their museum requires to reserve tickets in advance and is usually sold out for the upcoming weeks. A few kilometers north of Fuchu is Edo-Tokyo Open Air Architectural museum that features remarkable houses from the Edo period and is well worth a visit. Heading further North, I passed by the vast wetlands near Koga. The area has a large artificial water reservoir, and an emergency landing strip for planes. While visiting a shrine, locals were sitting under the trees and having snacks, and a Japanese man gave me a street map of the Kanto area. The map proved to be extraordinary useful, so several days later I bought a similar one for Tohoku area in the North. Nikko is located in the mountains, and the journey took more effort than I expected. In fact, before I could reach the city, darkness and a thunderstorm caught up with me. I found refuge underneath one of the many pavilions of a nearby public golf course. In the morning, I was one of the first visitors of the famous Tosho-gu shrine. Up next was Fukushima prefecture. Naturally, I stayed clear from the disaster site. 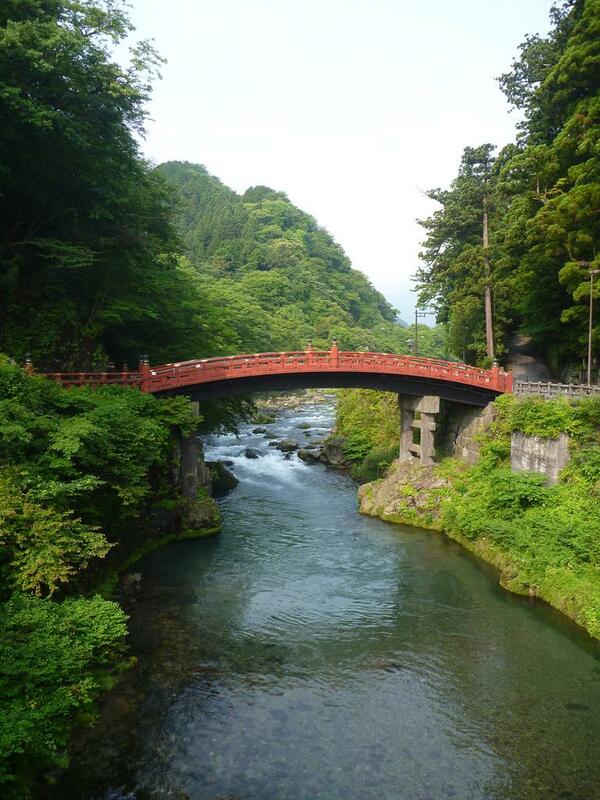 The nature of the prefecture was of particular scenic beauty and rawness. The forested hills and occasional lakes were extremely enjoyable. I continued through the central region until Kaminuyama. 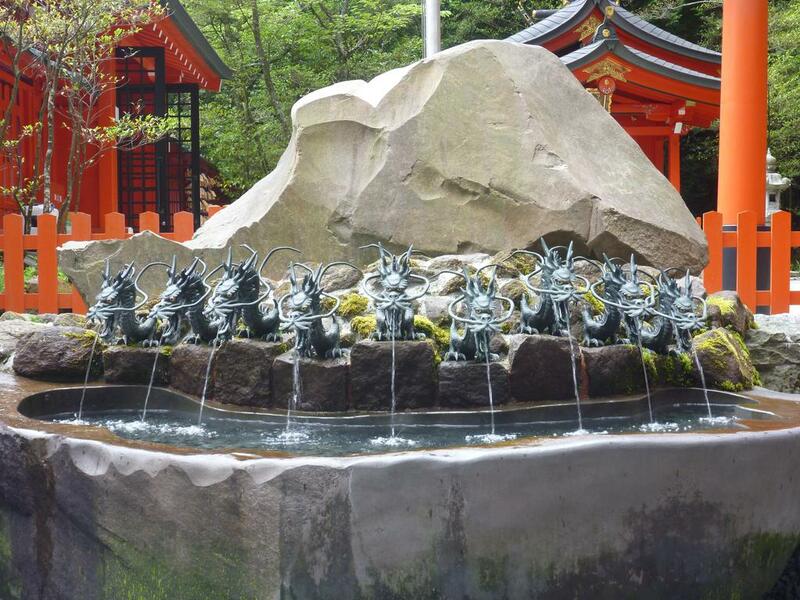 The city features a lovely castle, public baths, and foot spas which are supplied by hot springs. Also, there is a hiking trail through the adjacent forest to observe fireflies, however I saw none. On the next morning, a couple invited me into their home to have breakfast together. I mentioned that I planned to cycle up to Mt. Zao and the man accompanied me to the relevant intersection. Somewhere half-way to the summit of Mt. Zao along road 12 there was a road block. No cars passed that point except for maintenance vehicles. As a bicyclist I was not impeded by the plastic, ad hoc barricade but continued undeterred. Close to the summit at 1841 m altitude, four park staff halted their car next to me and proposed to me to descend on the way I came from. I appealed to their common sense that given the location it doesn't really matter which direction I go. They let me proceed. According to hearsay, there is an impressive lake in the crater of Mt. Zao. However, at the time I reached the observation platform, it was too foggy too make out anything. The descent from Mt. Zao to Shiroishi was great fun. My clothes were soaked from the mist and rain, so I stopped at a coin-laundry to get them dry. 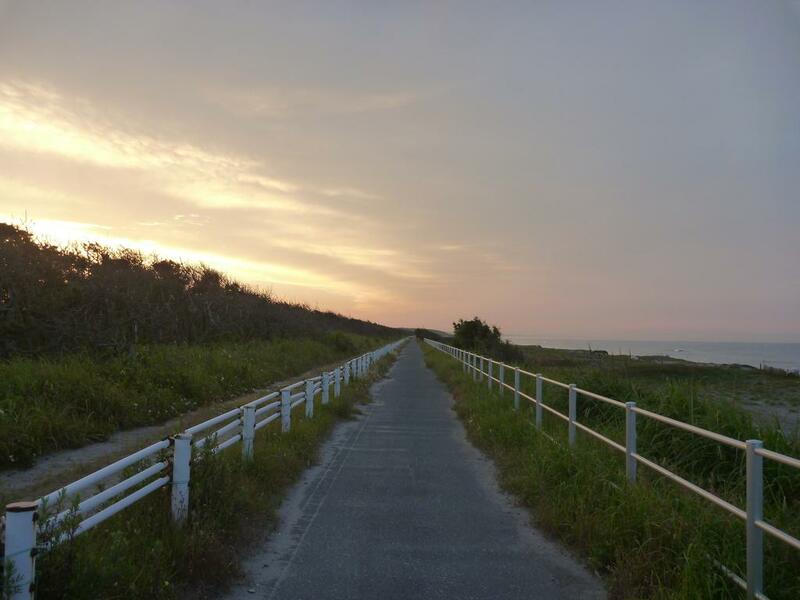 On the next morning, bicycle paths adjacent to the Shiroishi river and Abukuma river led me to the coast. 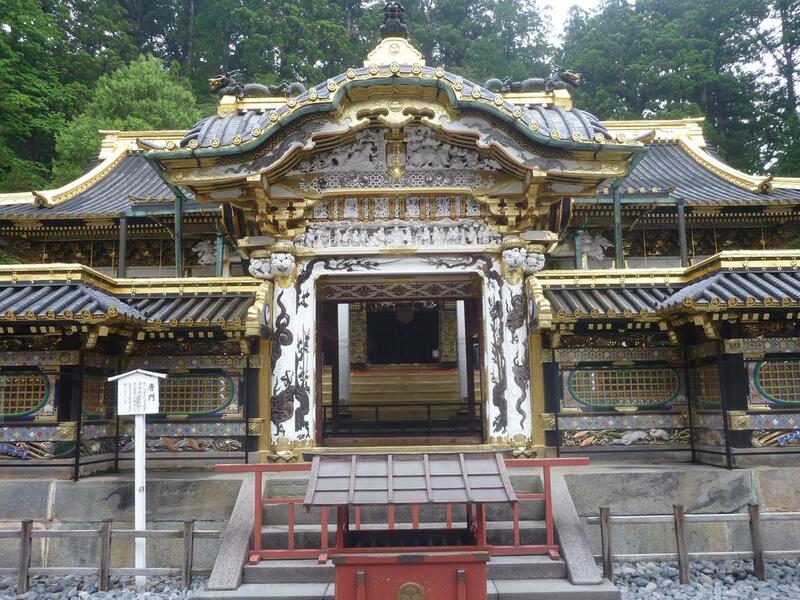 I continued north to Sendai and visited some of the temples and shrines. 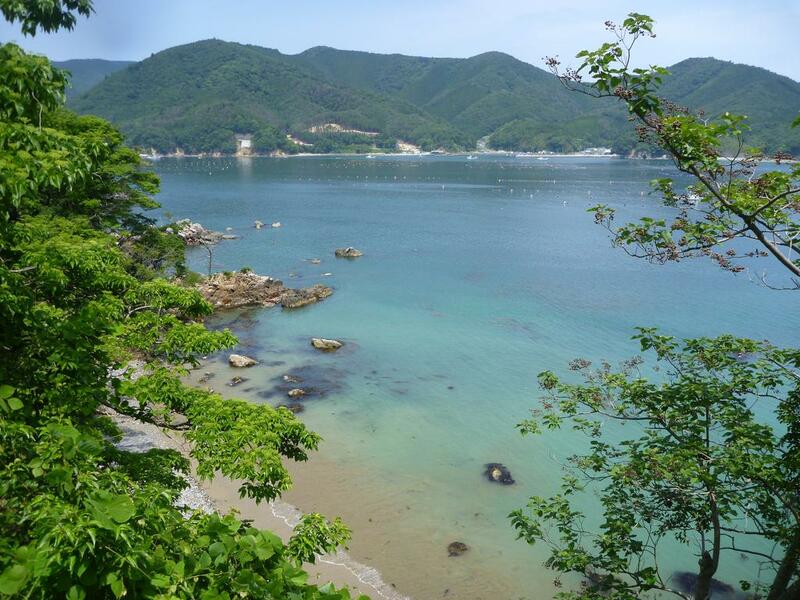 But the highlight for me was Matsushima Natural Park of Miyagi prefecture with Tomiyama mountain and the view of the bay. According to the map, I expected the coastal road 398 to pass by spectacular cliffs and beaches. In reality however, construction work to shield the coast from tsunamis was underway instead. For a long stretch, I shared road 45 with cars and construction vehicles to make it further north. To escape the busy traffic temporarily, I made a detour via the peninsula located in front of Yamada city. There, I hiked up to Mt. Karogatake to 508 m altitude and was rewarded with a spectacular view of the bay. On the next day, I reached Miyako from where I took road 40. It was time to leave the coast, and head land inwards. The further north I got, roads became less busy and the area less populated. In the evening, I reached Iwaizumi. Talking to locals, I tried to find out the opening hours of Ryusendo cave, but they were not sure. Instead, one of the locals packed my bike into his truck and gave me a lift to the cave 2 km from the city center. A generous and fortunate decision - there was just enough time to visit both caves. One cave featured a 30 m deep underground lake. The visit of the caves left me awestruck, and was a highlight of my journey. By now, I had made up my mind that Lake Towada would be the northernmost point of my journey. The ride and nature was fantastic. I cycled up to the lake via road 21 without hardly encountering anyone. Naturally, I had a swim in the lake. At the tourist information center in Okuse I learned that the lake had been formed by two massive volcanic eruptions. I enjoyed a hot chocolate and then reluctantly proceeded on a road that would lead me to the sea of Japan and then South. The road climbed steeply from 400 m to above 600 m altitude. Not far from the roadside, a bear with two of her young took refuge in one of the trees, apparently stressed from the nearby cars. My preference for forests and mountains made me choose road 129 as a detour. Reaching a lake, the asphalt turned into gravel. And further down the path, suddenly there was a bear 20 m in front of me. The bear seemed to mistake me for a car and ran away. I also turned my bike around and sped back to where I came from. That gave me the opportunity to identify an intersection that I had missed earlier. But the continuation of road 129 turned out to be a mere trail in the grass. The recent encounter with the bear did not put me in the mood to expose myself to the wildlife so I drove back all the way. 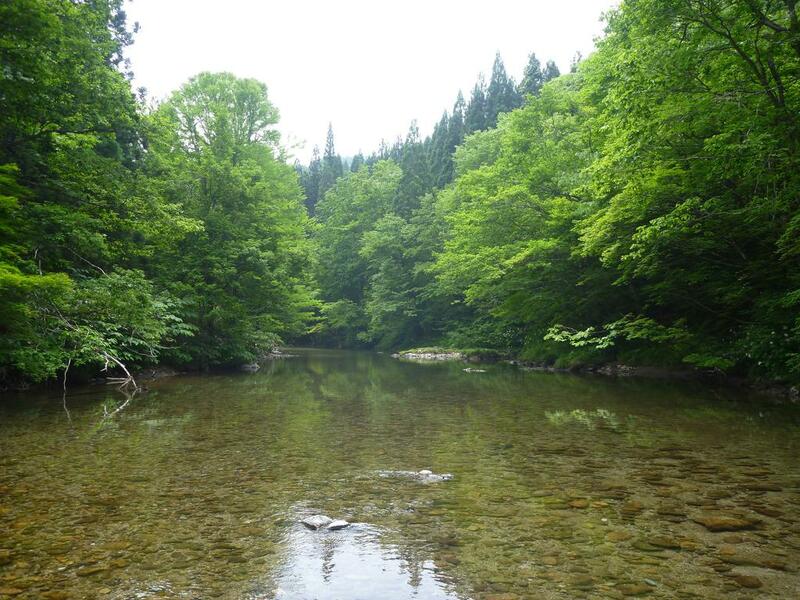 However, I could not resist to bath in the shallow river for a few minutes. I remember Akita mainly for the closed library. The nearby civic center was open and even featured two computers with Internet access. However, they had some weird filter installed and my favorite German blog was inaccessible. In the evening, I stopped by the beach. The coast turned out to be beautiful. I managed to go swimming just before rain set in. Until that day the weather had been in my favor. Now, I was about to learn the meaning of "rainy season". On the following day, I found myself stranded at a road station due to the heavy rainfall. People from the neighboring table were in a good mood and at some point joined my table to have dinner together and share stories. The next day turned out to be sunny again. Worried about the weather in general, I decided to use the opportunity to cover as much distance as possible. Around noon, the rear tire of my bike got punctured by a glass shard. Luckily, there was a bicycle shop 100 meters from the site. The repair cost 1200 Yen. In the workshop, we also re-adjusted the brakes. Apart from occasionally adding pressure on the tires, the bike did not require any other maintenance. 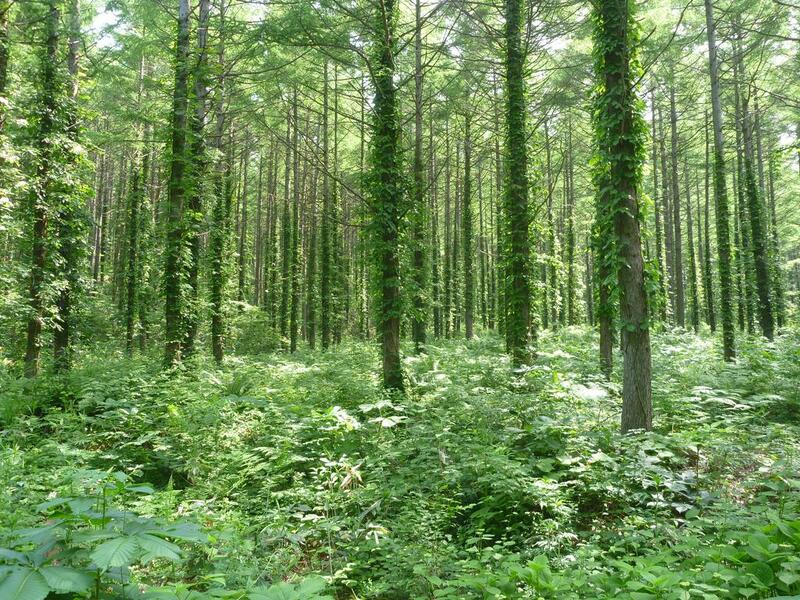 According to the map, south of Tsuruoka road 349 leads 100 km through primeval forest to the next prefecture. The road turned out to be closed for cars. For long stretches, the path was gravel. 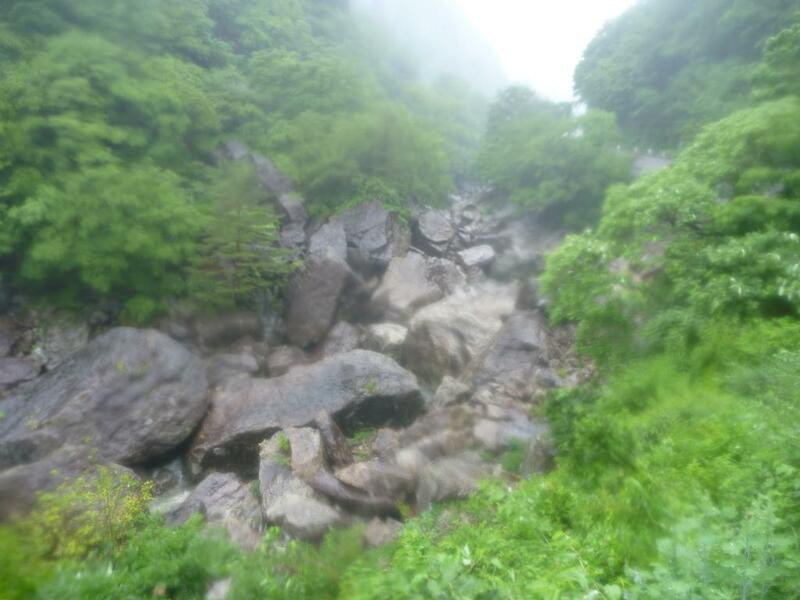 The weather was misty and rainy, which triggered spectacular waterfalls. But the fresh air, the raw, untouched vegetation, and the sheer distance made this episode my uncontested favorite cycling experience in Japan. The library of Nagano was under repair for damage caused by a recent earthquake. So instead, I visited a public administration building next door to finish reading the book on Bach's Well Tempered Clavier. The book was soaked in water and I wanted to get rid of the weight. I took photos of essential pages for later studies. Two hours into the process, a Japanese who taught English in middle school approached me and wanted to find out what I was doing. I recapped my journey for him. He explained: together with fellow English teachers, they were commissioned by the Japanese government to devise a strategy to enhance the effectiveness of English studies at schools. We had a long conversation. Before sundown, I reached Saku via Ueda. The scenic road 141 ascends from Saku all the way to the prefecture border from where it descends until Kofu. Next to the Kofu train station and castle there is a modern library that is popular among citizens of all ages: I witnessed cliques of students gathering around the tables for hours to study and do homework. In Kofu, I also discovered the most delicious dish that I had in Japan: a salad with cooked pork meat. The bakeries were also excellent: the delicious Fuka-Fuka Pan, as well as a French bakery in the train station. Since I was in no hurry, I enjoyed Kofu for five days meanwhile hoping for the weather to improve. On the fifth day however, despite the rainy weather, I ascended to 900 m altitude at the North side of Mt. Fuji to pass by the four lakes. Finally, road 413 brought me back to Sagamihara. Subsequently, I spent a few more days in Tokyo, where I bought boxes of Dorayaki, pancakes with filling, near Asakusa shrine as a gift for friends in Singapore. For the last night, I cycled back to Fuchu to stay at my friend's family apartment on more time. This also gave me the opportunity to pass the bike over to him. Hopefully, the bicycle can be used for many hundreds of kilometers more in the future. On the next day, we visited the park in Fuchu that features a history museum and historic buildings. In Kawasaki, I transferred between train stations to board the train to Haneda airport. I bought a ticket and took time to decide which platform to go to. A woman who had observed me subsequently insisted on accompanying me all the way to the skydeck of the airport. We sat down at one of the tables outside, and she bought coffee for us. I recounted my trip and showed her pictures on my camera. Following that, I also explained my activities prior to Japan. After 2-3 hours she said goodbye, only to return a few minutes later with a souvenir for me: a T-shirt with the Haneda logo on it. it will warm you twice. Thanks to Matt Eastwood for proofreading the article. The interaction between strangers is generally very polite: bowing the head, and defensive language, and frequent "thank you"s.
Employees are especially polite, and attend to special needs of customers. Many female employees speak with an exaggerated "cute" voice. 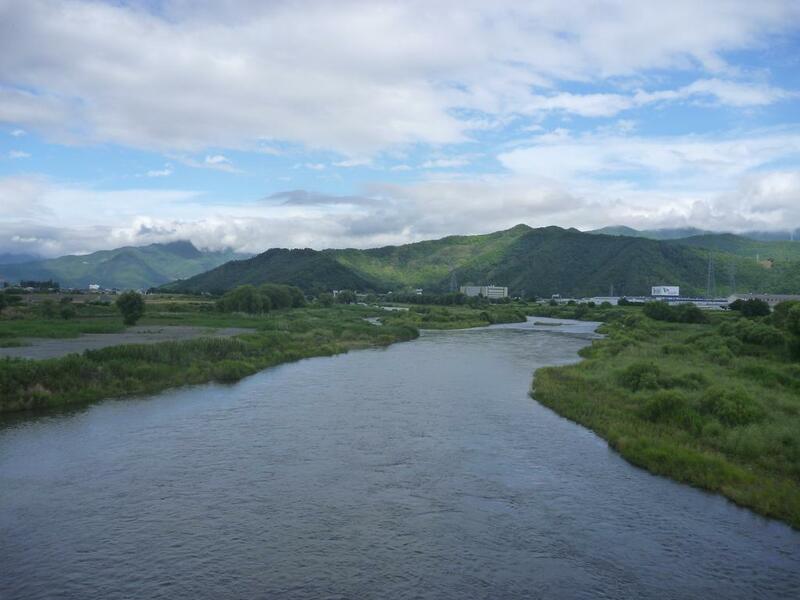 Few tourists visit Tohoku, a region north of Tokyo. The locals there are particularly curious and often initiate conversation to find out what tourists are doing. An elaborate recycling scheme is in place, and trash bins are provided by supermarkets instead at places administered by the public. Smoking is more popular in Japan than in most other 1st world countries. Public restrooms are all very clean. Facilities for gambling are abundant, although due to the law they have to disguise their business practice and instead of cash give out gifts that can be cashed in at a separate shop. Parks and city centers are generally free of mobile street vendors (unlike in Vietnam, etc.). 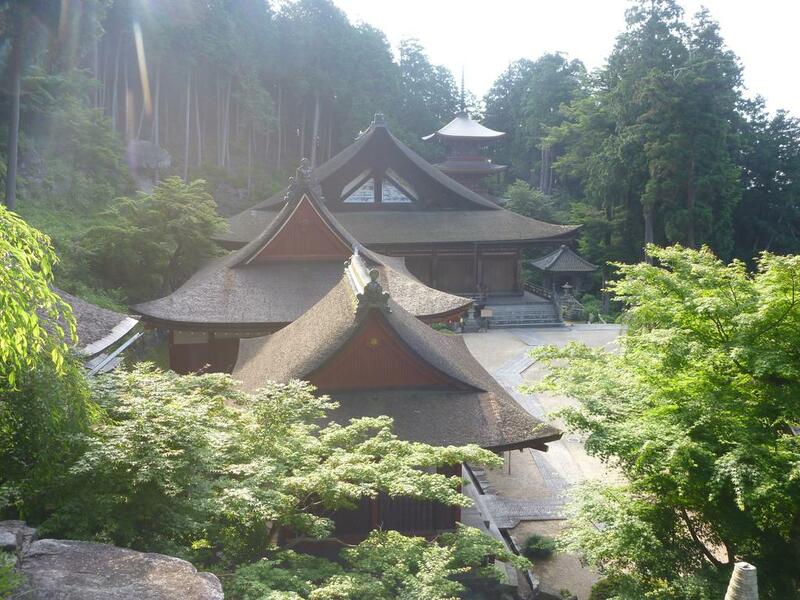 On the other hand, the most frequented shrine and temple sites feature shops that sell religious tokens and souvenirs. Maps installed in public spaces are usually oriented according to the perspective of the observer. Sometimes the up direction points South. In cities beyond a certain size, charges apply for bicycle parking in busy locations, since space is so precious there. Goods in the supermarket often don't indicate the weight of the content in grams. Instead, they typically state the amount of calories. When locals realized that I was exploring Japan by bike, they often bestowed me with snacks and best wishes. Bicycling in Japan is much safer than in other countries in the sense that there are fewer scary moments. The majority of vehicle drivers make smart decisions and are cautious. But scary moments still happen from time to time, especially in the late afternoon when people want to get home from work. More than once, I witnessed cars ignore groups of children who waited at a zebra-crossing. Width and asphalt condition of a bicycle path often change abruptly. Some paths come to an end altogether unexpectedly and force cyclists to cross the street to the other side. Bushes and trees next to the bicycle path are seldom trimmed and obstruct. During the almost 3 months in Japan, the police approached me on two occasions because I apparently had violated some rules. They would write down my passport details and then send me on my way. The study of Chinese characters in the past helped me to recognize basic words and concepts in Japanese: man, woman, school, library, bank, ... no drinking water!, ... large, small, ... . In Japan, 2000 traditional Chinese characters are used while the rest is filled up with syllables from 2 other alphabets. Garfield: There's a limit to how much I can eat. John: We're out of food.